CHAIN INFO: 18K Solid White Gold Guaranteed, Authenticated with the 18K stamp. Diamond cut high polish finish gives this box chain an extra shine. 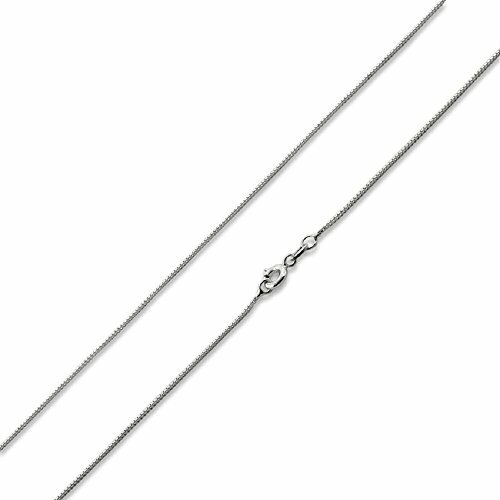 Perfect alone or withe pendants, this basic 18K white gold diamond cut box chain is a staple for everyday wear. We are proud to offer a 100% SATISFACTION GUARANTEE.You can place your purchase with confidence knowing that we here at Pori Jewelry want nothing more than for every single one of our customers to be thoroughly satisfied with our premium quality products.